The business renewable energy trend is continuing according to a report showing Australian businesses switching to renewable energy in a bid to cut rising electricity costs. Nearly half are taking matters into their own hands by installing large solar power and battery storage systems. That’s according to a new report from the Climate Council. 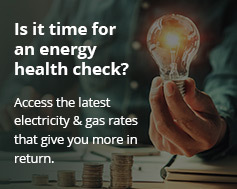 It reveals average household and small business energy bills are almost 90 per cent higher than they were 10 years ago. Gas prices have risen threefold since 2013. 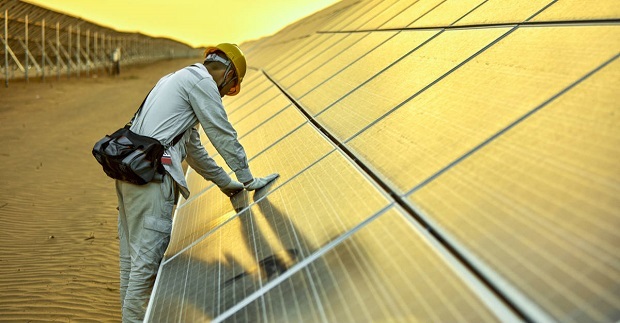 In response, business installations of solar power increased by 60 per cent over 2016-2017, with over 40,000 commercial solar power systems now installed in Australia. The capacity of businesses to generate their own solar energy has doubled since 2016. Nearly half of major Australian companies — 46 per cent of big operators — are actively procuring renewable energy, the report states. Australian businesses are switching to solar power to combat rising power bills. Australia is experiencing a boom in renewable energy, with over 5,000 MW of renewable energy projects under construction in 2018. The cost of wind and solar power is now the cheapest form of new generation — far cheaper than coal, according to the Climate Council. Climate Council analyst Petra Stock said wholesale price reductions were primarily due to the nation’s Renewable Energy Target (RET). These reductions would lower average consumer power bills by around $200 over the next two years. “It simply makes good economic sense for businesses to make the switch to affordable and reliable renewable energy and battery storage,” Stock said. And making the switch is good for business, with 80 per cent of Australians saying big companies should be using renewable energy. In addition, 76 per cent of people would choose a product made with renewable energy over a comparable product that is not. The business renewable energy boom includes some big-name companies transitioning to renewables such as Tip Top, Carlton United Breweries (CUB) and Sanjeev Gupta’s GFC Alliance. GFC Alliance recently acquired Victoria’s Laverton Steelworks and has signed a deal with French renewable energy company Neoen to power the plant with solar. Neoen also owns the largest lithium-ion Telsa Powerpack battery in the world, at the Hornsdale Power Reserve in South Australia. Meanwhile, CUB have signed a 12-year power-purchase agreement with Germany’s renewable energy giant BayWa r.e. The brewer aims to be powered by 100 per cent renewable energy. Finally, Tip Top chose its Townsville plant as the site of a pilot 97 kW solar power and battery storage system. The company has requested energy consultants Carbon Friendly Enterprises to assess its other locations for future solar power installations.